Home > Knowledge Center > Is Artificial Grass Permeable? While the popularity of artificial grass is growing rapidly and we are seeing installations much more frequently, there is not yet a broad understanding of what it is or how it works. This means that folks considering this low-water, low-maintenance lawn option generally still have lots of questions. It can be difficult to find good information online or to know which synthetic turf company to call to get good answers. Will my artificial grass get puddles after rain? What happens to dog urine on manufactured lawns? Does synthetic turf have more runoff? What happens to the water when I spray down my fake grass to clean it? We will try to address these questions as fully as possible here, but you can always call us at (858) 925-3000 if you have additional questions. 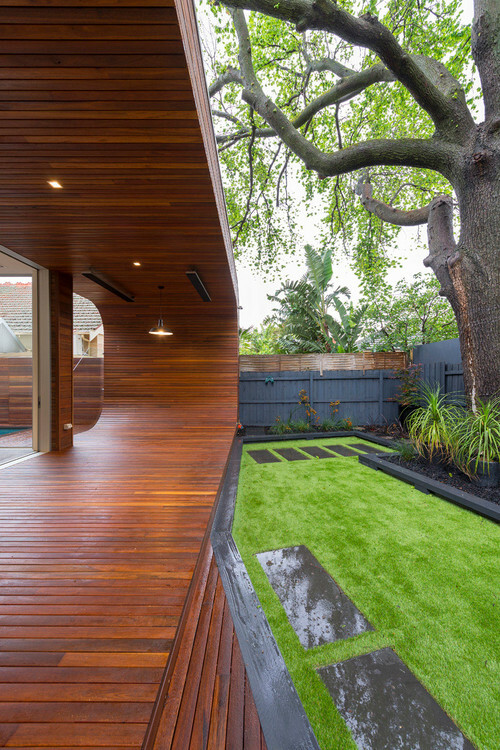 The first thing to know is that not all synthetic turf is created equally. The second thing to know is that not all manufactured lawn installations are completed to the same standard. So, while the question of how permeable your grass will be depends on several factors, these two are at the top of the list. To help ensure a satisfactory end product, you will need to make sure you are working with a reputable, knowledgeable synthetic turf company that can assist you in selecting the right type and quality of turf for your project. With that said, let’s dive into the topic of artificial grass and drainage. When properly installed, your manufactured lawn should have drainage equivalent to or better than natural grass. It is often the case that properly installed artificial grass lawns have significantly better drainage than natural lawns. For the top layer of drainage, synthetic turf has a permeable backing that allows liquids to permeate the material and drain to the base underneath. This means that rain, overspray from irrigation systems, dog urine and other liquids can flow through the drainage holes to avoid puddles on your grass. This, of course, assumes that there is a base layer and drainage system into which these liquids can flow. 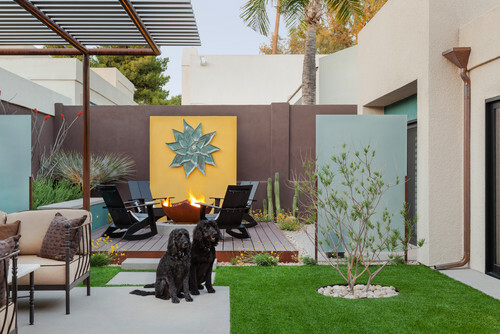 For example, some folks purchase a roll of turf and install it directly over concrete for a quick, do-it-yourself fix for a cracked patio or to create a restroom area for their dogs. This type of installation may serve their purpose in some ways, but it will not allow for proper drainage. Proper installation includes several steps, but the steps that are most important for drainage include demolition of existing soft or hard surfaces, excavating and grading the area, compacting the subbase, adding two to three inches of base and compacting the base. Depending on the situation, a drainage system may also be installed. Even the blades of the fake grass and the infill used help to ensure proper drainage. The base layer is particularly important for permeability in heavier rains or when excessive liquid is introduced to a manufactured lawn. 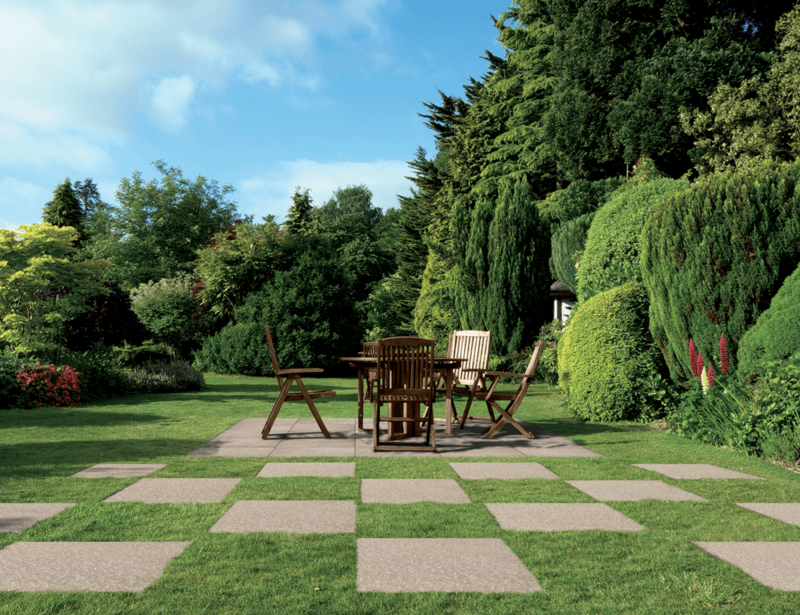 It is these compacted inches of material that provide a solid yet permeable base that can accept the water and allow it to filter down into the drainage system or subsoil. It should be noted that any lawn, whether artificial or natural grass, can experience puddling or drainage issues after heavy rains or in the case of flooding. This is particularly true if the area was not properly graded and if drainage was not taken into consideration during the installation of sod or manufactured turf. 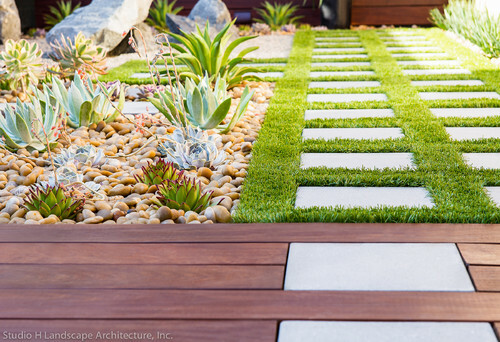 By working with a company that is knowledgeable and experienced in synthetic grass installation, you should achieve a beautiful, low-maintenance, well-draining lawn that will bring you years of enjoyment without the extensive care required by natural grass lawns.